New challenges, a high-performing team, and a great work culture keep you motivated to perform better every day. 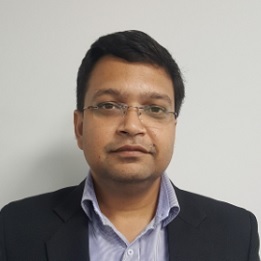 Viyom leads the digital CRM business unit at Nagarro. With 15+ years of experience, he has successfully developed the CRM and Digital Marketing practice in the organization. He played many roles in his career, starting out as a software developer, moving on to become a technical architect, project leader and now practice leader over the past few years. He has expertise in delivering projects across domains such as airlines, public sector, finance, manufacturing, utilities, non-profits and so on. A gold medalist in school, he holds a Master in Computer Applications from IMT, Ghaziabad and a Bachelor of Commerce degree from SRCC, University of Delhi.